Women experiencing menopause symptoms like hot flashes and sleeping problems do better if they have a comfortable workplace and a supportive boss, according to an Australian study. By offering support to menopausal women, such as trained managers and temperature controls, workplaces can improve the employee experience and help themselves by boosting productivity, the researchers said October 3rd in the journal Menopause. "Women in midlife and older adulthood now constitute a large proportion of the workforce and many women transition through menopause while they are in paid employment," said lead author Emily Bariola, a researcher at La Trobe University in Melbourne. "Despite this, very little research has considered whether workplace and organisational factors can affect menopausal symptom experience for women," Bariola told Reuters Health by email. To determine how workplace conditions affect the experience of women going through menopause, the study team used data from Women at Work, an online survey conducted between 2013 and 2014 in Australia. Nearly 500 women in their 40s and older answered questions about their general health as well as menopause symptoms like hot flashes, sleep and attention issues and headaches. The number and severity of their symptoms were scored using a menopause index. 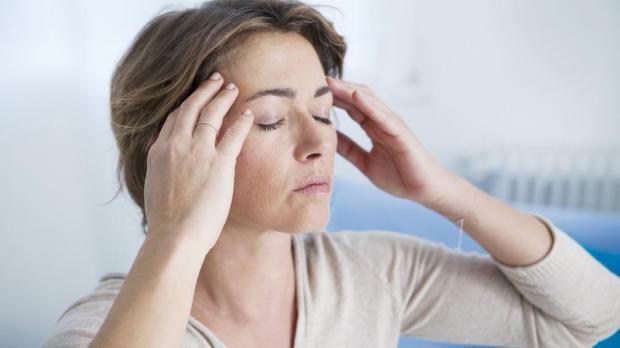 About two-thirds of the women were postmenopausal, and one-third were in the transitional stage known as perimenopause. The women also answered questions about whether their worksites had features that would help them deal with their symptoms, including a flexible schedule, access to temperature control, job autonomy and whether they felt valued by their supervisors. More than two-thirds of women worked full-time and most had flexible working hours. But less than a third of women reported having control over the temperature in their immediate work environment. Women who had more supportive supervisors and women who were employed full-time tended to report significantly fewer severe menopause symptoms than women without these work conditions. On average, women who had control over the temperature of their workplace also had significantly lower symptom scores than those without temperature control. Having more job autonomy or being able to work flexible hours did not seem to have an effect on menopause symptoms, the study found. "Menopausal symptoms can affect both productivity at work and quality of life of women," said Rehab Hammam, a professor at Zagazig University in Egypt who studies menopause and the workplace. "Stress at work can exacerbate menopausal symptoms," Hammam, who was not involved in the study, added by email. Bariola noted that one-way employers can ensure supervisor support for menopausal women is to provide training for managers, including guidance on how to start conversations about the issue. "Practical measures such as the capacity to adjust air conditioner temperature controls or request the installation of desk fans may also ease women's experience of menopausal symptoms," Bariola said. "Women need to know that menopause is not a stigma that they should hide," Hammam said. "It is a stage in their life that needs certain strategies and awareness from both employers and the working women." "Organisational policies and culture have a positive and important role to play in ensuring women feel supported by their organizations during menopausal transition," Bariola said.